Bishop Seals are a significant representation for the office of the Bishop and are considered necessary requirements to define and embody this elevated position. These symbols represent visually, the elevated status and distinct character of each individual serving as a mark of authority and elevation. 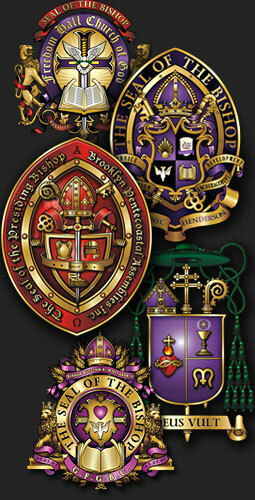 For more than a decade, ABC has been the leading source for crafting unique Insignia for distinguished leaders and esteemed clergymen across the globe. Our respected family of clients are discerning individuals with an eye for quality and a demand for the refined and extraordinary. Don't settle for imitators, plagiarists or substandard budget design firms. The office of Bishop demands excellence in all forms, not least of all the symbols that carry your name. 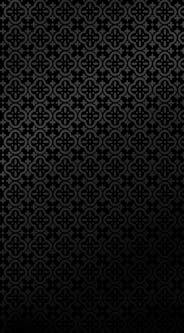 The symbols integrated into each logo are crafted with the highest artistic merit to ensure an emblem that communicates the character and personal conviction of the Bishop and his philosophical principles in the highest form. The color, shape and elements of the seal and their configuration are based on traditional structure, personal preference & a unique vision. Each Seal is a custom designed piece of art representing the character and heritage of the individual & ministry. The symbolic significance of the seal is in accordance with the guidelines of the Bishop's governing body and maybe subject to approval of a presiding official or Bishop to ensure it is within compliance with these guidelines. For more information or guidance in creating your seal, please contact ABC - we are here to help.